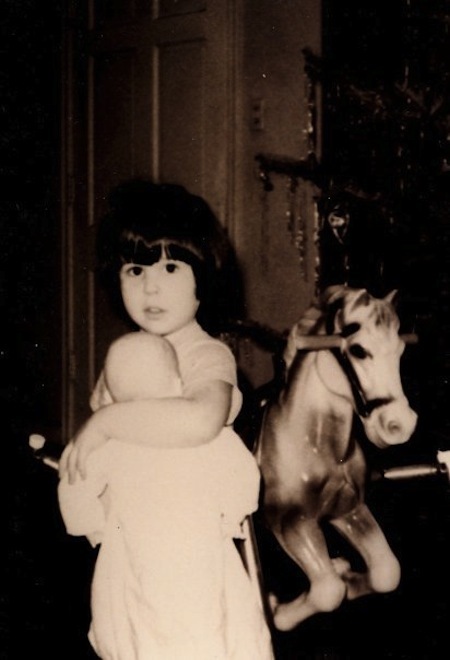 I was barely four years old. It was Dad’s turn to take me to the babysitter on his way to work, and we were running late. He worked for the City of Antioch back then and drove a company truck. Anytime I rode in it I had to crouch or lay down so no one could see me; apparently the City frowned upon its workers transporting their kids in the company vehicles. I didn’t mind hiding; it was like a game to me. The “hurry hurry hurry” part still echoes almost 50 years later, anytime I am running late, which is rare. One time at home, I am not sure how it happened, but the head came off of Baby Peep, my favorite doll. I tried to fix it, but with no luck. Mom wasn’t there, but Dad was. I went crying to him and he took the doll and went out to his tool bench, got out his tool box and worked on fixing it. My face stained with tears, I watched from the doorway that led from the kitchen to the garage. “You’ve Lost that Lovin’ Feelin'” played on the radio; that was the first time I ever heard the song, and it seemed so melancholy to me. To this day that song brings back the bittersweet memory of a broken doll, “Doctor” Dad’s loving efforts, and his coming through for me as he presented Baby Peep in one piece. So few and far between were those caring gestures displayed by my father, it’s no wonder I remember them so well. He had the power to fix what was broken — except when it came to hearts.